Before one delves into history of Kashmir and Kashmiris, it would be interesting to understand the meaning of the words the Nation and the Nation-State. According to Oxford dictionary, a Nation is, “A large body of people united by common descent, history, culture, or language, inhabiting a particular state or territory”. According to Wikipedia, “A nation is a stable community of people, formed on the basis of a common language, territory, economic life, ethnicity or psychological make-up manifested in a common culture. A nation is distinct from a people, and is more abstract, and more overtly political than an ethnic group. It is a cultural-political community that has become conscious of its autonomy, unity, and particular interests”.“It is a more precise term than “country,” but of the same general meaning, being that it is an ethnic nation with its own land (thus “homeland”) and government”. 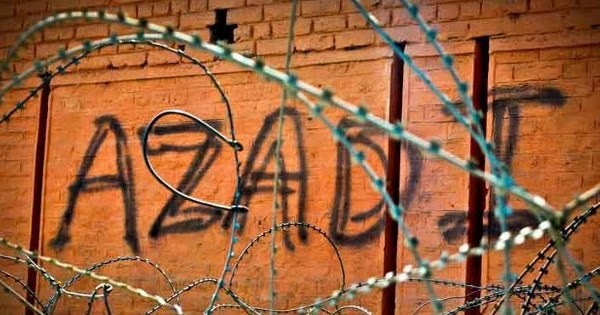 The million dollar question is will the Kashmiris be able to reclaim their Nationality as it existed for thousands of years and will Kashmir ever be again a Nation State? Will they be ever able to lead a life of honour and dignity? Well, keeping in view the current regional political set up it seems impossible unless these neighbours get tired of their unending mutual hostility or get decimated in a destructive war! Howsoever, it would be an ideal solution if they agree to declare Kashmir as a Nation State of the erstwhile times and make it a totally neutral zone like Switzerland remained in the two world wars. This may seem a utopian dream but sometimes such dreams happen to show the way. In the present global context, Nation States have almost ceased to exist independently due to the economic considerations. A typical example is the European Union. Even though the individual countries do maintain their cultural individuality yet in reality it has become one unit for all practical purposes. Can’t the countries of our region do the same? Make the area a composite economic unit and keep Kashmir as a Free Economic Zone with total political neutrality! Something on these lines could be worked out through dialogue among all the stakeholders including all the neighbouring countries. Ultimately, after getting exhausted by mutual bickering and fights reducing their citizens to abject poverty, the neighbouring countries may have no alternative but to do it! The other choice would be total obliteration by a destructive nuclear war! Let us hope and pray that good sense will prevail all round and Kashmiris are emancipated after centuries of oppression!